ESA welcomes new members into our association that are interested in our mission of support for those less fortunate. The only right we have is to be of service. ESA was established in Kansas in 1930, but the Kansas State Council was officially organized in 1946. Kansas currently has approximately 50 chapters functioning throughout communities in the state of Kansas. These chapters support many local as well as state and international philanthropic projects. Heartspring has been selected as the state's philanthropic project since 1948, when it was known as the "Institute of Logopedics." Goodwill Industries was added as a state project in 2013. In 2012 Goodwill and Easter Seals decided to separate their affiliation that was established in 1987. Kansas has approximately 40 chapters and over 650 members in all areas of the state. Our members donate over 50,000 hours and at least $500,000 to philanthropic projects in their communities as well as to Heartspring in Wichita, KS and Goodwill Industries of Kansas; Easter Seals / Capper Foundation. Chapters in Kansas support a variety of charity projects locally, statewide and internationally. Internationally, ESA designates two charities - but never closes the door to help any 501 c 3! Many of our chapters support many charities and support their own community needs! 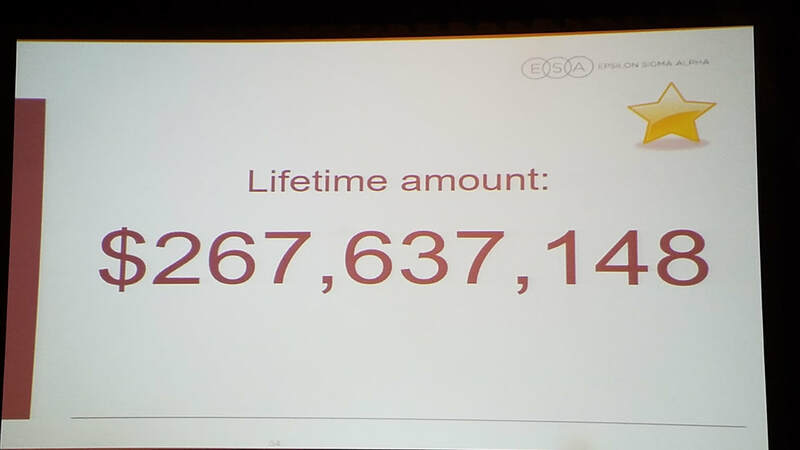 ESA has surpassed the $200 million mark in 2015 for St. Jude Children’s Research Hospital in Memphis, TN. The hospital was adopted as it's philanthropic project in 1972 and support has continued to grow. Over $18 million was raised in 2016. ESA in Kansas has a very long history of supporting Easter Seals. In 1987 Easter Seals and Goodwill Industries joined forces in Kansas. This joint effort continued until 2013 when they separated once more, but Kansas will continue it's support for both these charities in significant ways.